This is a guest post from Sandra Johnson, her father and family are in the trucking business and she wanted to reach out and say thanks to the USA truckers! If you pull onto any thruway or highway in America and within moments you will find yourself in the presence or some sort of 18-wheeler or semi truck.Truck drivers can range from men to women, young to old, independent drivers to company drivers and the categories go on. You may have heard about the trucking life from the hit movie Smokey and the Bandit but only the people that are out there everyday and night living the life really know what it’s all about. Trucking is a mainstay transportation all across American and the men and women that drive these vehicles could easily be considered American Icons. Not only do drivers have extensive duties and responsibilities such as driving for extended periods of time, logging hours and destinations in their logbooks, load and unload their own trucks often times, keep track and make sure what they are delivering is to the right place at the right time and about a hundred other small duties, but they are also faced with a wide assortment of dangers everyday. Driving long hours, often at night to avoid traffic, they face falling asleep at the wheel, drunk drivers, deer running into the highway and losing sight of the road. There are some trucking companies out there that pay their drivers well, but if you asked many drivers, they would tell, you that are well underpaid. Their hours are long and they face brutal loneliness at times and they still press onto deliver goods to our stores and markets. These men and women tend to reach the burnout stage quickly. We as a society should be thankful to these people. They drive and drive to provide us with anything and everything we could need in our stores. They face brutal weather at times, endless traffic and common stereotypes. They are a brave community and even selfless at times to leave behind their families and friends and even their lives to be gone weeks at a time sometimes. You have to ask yourself… would I be willing to do that? This Thanksgiving when we are all sitting at our beautiful and bountiful tables filled with every holiday food you can think of, surrounded by loved ones that we get to see regularly, let us try to remember the many men and women out on that cold and lonely road with no Thanksgiving feast and no loved ones around them. They are out there getting a job that only they could do done. Maybe even take a few minutes to say thanks the next time you see a truck driver at a gas station for all they do and all they face in their line of work. In 2013, there were approximately 242 million turkeys raised in the United States. Approximately 21 percent—50 million—of those turkeys will be consumed this Thanksgiving Day. Do you have any idea how many truckloads it takes to deliver that many turkeys? No need to do the math, it is roughly 16.6 thousand full truckloads of turkey. For those of you who want to know how I reached that number: there are about 750 cases on a truck with 4 turkeys per case, which equals 3,000 turkeys. Those trucks are going all over the country to service distribution centers and grocery stores to make Thanksgiving possible for Americans. Ever wonder where each of your favorite Thanksgiving sides originates? This USDA infographic explains it all. When driving down the road this November and you see a refrigerated semi, there is a chance they’re transporting the turkey that will be served at your Thanksgiving meal. Speaking of being on the road, make sure you travel safely to your Thanksgiving destination. The professional truck drivers of the American Trucking Association share their safety tips for traveling this holiday. Please take time to read them before you hit the road. Got a little one fascinated by trucks? Well, you’re in luck because now you can order Grandpa and the Truck books that teach geography (as the big rig moves across America), historical events, (like the Woodstock Music Festival,) Nature’s fury in the form of hurricanes and ice-slicked roads, America’s diversity and beauty, and amazing life lessons. Book 1 contains: “It’s Not Always Wise to Follow the Leader,” showing what happens when a string of cars blindly follows a “smokie” (policeman) on a fog-enshrouded highway in northern California and “Ralph and the Bloodhounds” which tells the harrowing, but exciting tale of Grandpa’s trucking partner as he walked into the Virginia woods one night, to get fuel. Both teach important lessons. Book 2 has “Grandpa Meets the Hurricane,” where this trucker personally feels the effects of one of Mother Nature’s most powerful forces and “Girl Truckers,” showcasing two Rhode island women who broke the glass ceiling of the trucking industry to become successful long-haul truckers (proving gender should never dictate career choice). Book 3 (in development stage) has “The Watermelon Truck” showing how Grandpa (as young trucker) experienced the Woodstock Music Festival in the 60’s. Hint…It wasn’t the usual way of other festival-go’ers. That story joins “Grandpa’s West Virginia Mountain Road Experience,” relating one of this trucker’s trickiest deliveries up a winding mountain road in coal-mining territory, where a little girl awaits her toys. Let us know how your little ones like our books (comment section on the website). We’ll post pictures, too, of your little one, if you send (see the Tyler triplets above.) Stories are based on actual, real-life experiences of a man who became a legend in his industry, a trucker named to his company’s Elite Fleet, for driving millions of miles without accident. The logistics security services provider, FreightWatch International, has issued a Thanksgiving Holiday Awareness bulletin about cargo thefts. It notes year after year the holiday shipping season shows an increase in cargo theft risks for transportation companies, shippers and manufacturers. November 21, full truckload of 3D televisions and Blu-ray players stolen in California. November 22, over $550,000 dollars worth of infant formula was stolen from an unsecured lot in Texas. November 24, $540,000 dollars in copper stolen in Illinois. November 25, full truckload theft of clothing in New Jersey. November 25, full truckload theft of computer memory chips from Illinois. Georgia, which usually ranks fifth as the most dangerous cargo theft state, comes in second during the Thanksgiving weekend, with activity centered around the major interstate highway hub of Atlanta, according to FreightWatch. What we mean is that we were under a load and working while lots of folks in the USA enjoyed that holiday and “Black Friday” (the day after Thanksgiving — known as the “biggest shopping day of the year”) as time off work. We certainly didn’t feel sorry for ourselves. We had jobs and were earning money. The freight was good for the 9-week stretch from October to Christmas. Of course, our family consisted of just the two of us, so there was no push for us to “be home.” Our truck was our home during those times since we were “homeless” then. If you have to be “on the road” and taking a Thanksgiving trip yourself, opportunities for savings still abound. We’ll reveal some things that you can do even on or from the road. Money saving tips: For your convenience, we have broken up our money saving tips into the categories as shown below. There may still be truck stops that offer a free meal to CDL drivers in their restaurants on Thanksgiving Day. The first two years we drove OTR, we enjoyed such a meal at truck stops in New Mexico. All we had to do was show our commercial drivers licenses. For a list of various chains, see our diesel fuel prices page. If you cannot find a freebie meal, you can make one for less money than some expensive truck stop meals (the ones that have 3 or 4 meats on the buffet and all the traditional Thanksgiving side dishes). We detailed this on our Thanksgiving Dinner page and video. If you don’t like turkey or ham as entrees, then eat what you like. Still, the prices of traditional Thanksgiving meats may be lower at this time of year. You don’t have to get a regular turkey; a turkey breast can fit down into many medium-sized crock pots to cook. Since you’re in a big rig and the parking lots for many stores may be jammed full of shoppers, don’t try to compete for space. Shop ahead of time for foodstuffs, such as early in the week. Be aware that some Black Friday sales are available only on the web (over the Internet). Some stores’ websites have certain items listed for sale only online year-round. Furthermore, some stores are having “pre-Black Friday” sales this year. If you usually use a credit card to pay for your purchases, don’t forget to look for special savings or cash back rewards points for certain categories of purchases during certain months. One of our favorite credit cards increase the percentage of cash back rewards from 1% to 5% during certain months for certain categories of goods. Of course, you don’t want to buy more than you normally would just to get the rewards. You still have to pay for what you charge. Hopefully, you’ve been working on meeting the financial goals you set and have saved up money for whatever Christmas gifts you want to buy this year. The money you saved will help you either pay cash or avoid paying interest on your credit card balance (if you have one). As one astute speaker said, “Some people pay interest, others earn interest. Which are you?” Personally, we’d rather be earning interest than paying it. If this is the time of year when you normally do your Christmas shopping, it might be a good idea to evaluate why you give what you give. We have a friend who visited an out-of-town relative during Christmas 2010. When gifts were exchanged, he expressed to us his dismay over the size (cost) of the gift he received versus what he had been given, especially in contrast to what the relative gave others in the family. This mental “comparison” of gifts tends to lead to competition or bitterness, neither of which is healthy. Vicki urged our friend not to focus on the size of the gift because he didn’t know what was in his relative’s heart, mind or budget. 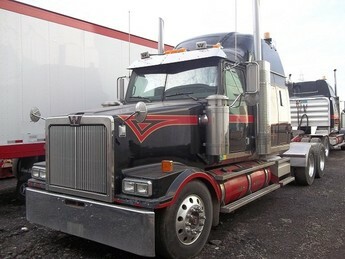 We cover trucker accessories separately. These are tools that are good to use in your truck all year long. No one can take your place at home. Do what you can to ease the ache of family members who want you to be home at this time of the year when you can’t be. If you can’t be home on Thanksgiving, family members will most likely appreciate it if you contact them, such as by calling on the phone. An alternative to calling is to send an email. It’s also faster than mailing home a card (even though you can do that, too). If your trucking company pays a holiday bonus (for OTR drivers) or time-and-a-half (for local drivers) or some higher pay rate than you would normally be paid — just for working on Thanksgiving Day — this may be too big an incentive to pass by. Discuss this with your loved ones. It is possible that your home support team can celebrate the holiday with you on a different day. If it works well for you, see if you can avoid big snarls of traffic by routing yourself around areas that are prone to having congestion. Some GPS units may be able to help. While traveling, allow plenty of following distance and anticipate the moves of other motorists. Wherever you park, be aware of the potential for slick spots at freezing or near-freezing temperatures, for both you and your truck. Sometimes leaves that fall can cover a slushy or icy spot that, when stepped on, can slip right out from under your feet. Unless the ground is perfectly dry in freezing temperatures, there is always a potential hazard. Use three points of contact when getting out of or into your truck. Flatbed drivers need to be especially careful when getting up on their loads in cold weather. It’s a good practice to give thanks. Many of us have been blessed by our Creator in many ways. You may wish to read about the origin of America’s annual Thanksgiving Day or our Thanksgiving prayer. It’s also helpful to remember the folks who have helped you get where you are or are helping you get where you want to be. Who is on your list to receive a word of thanks? We are grateful to you, our readers, for helping us make Truck-Drivers-Money-Saving-Tips.com the place on the web to help all professional truck drivers save money. Thanks so much. Would you rather eat Thanksgiving dinner in a restaurant (paying others to prepare and serve it and clean up afterwards) — or prepare it yourself exactly how you want it, as much as you want (with the possibility of tasty leftovers) and save hard-earned money in the process? We chose the latter as an example of how truck drivers can prepare this meal in an 18-wheel tractor trailer. The plate above shows the dishes we prepared for our Thanksgiving dinner in 2009 — complete with turkey, bread dressing, sweet potato casserole and steamed broccoli — all of which we prepared and ate in the truck Mike drove for his at-that-time trucking company. To provide a little background, please understand that during the times when we have been on the road together, we’ve had multiple opportunities to eat a Thanksgiving meal on the road. The first two years when we drove as a team, we ate a traditional turkey meal at two different truck stops in New Mexico. The third year, we prepared it ourselves and had such a smashing success that we never looked back. Welch’s Sparkling Red Grape Juice (non-alcoholic). To give the cranberry sauce and grape juice enough time to cool to the desired temperature (cold), we put them on ice in our ice chest two days before. Mike prepared the turkey to cook in our medium-sized crock pot while he was driving from the Memphis, TN, area to lower-state Mississippi, a 5½-hour drive. When we arrived, he turned off the crock pot and began preparing the other dishes. When Vicki was growing up, her family ate a commercially prepared stuffing mix with their Thanksgiving dinner. However, when she married Mike and he fixed his famous bread dressing (which uses broth from the turkey), she has never wanted to go back to traditional stuffing because his tastes better! Mike’s bread dressing consists of cheap white sandwich bread (although we have used wheat bread as a substitute), two beaten eggs, plenty of sage and broth straight from the bird (perhaps diluted a little). He bakes this dish at 350°F – 400°F until the eggs have cooked through and the top is crisp such that when it is tapped with a fork, the dressing “sounds hollow,” he says. Mike Simons prepares his famous bread dressing by tearing into pieces a loaf of cheap white bread. Note: this is not “cornbread dressing,” but a sage-seasoned dressing made of white bread. After dampening the bread, adding in two beaten raw eggs, and mixing the ingredients thoroughly, he added the most important spice or seasoning for making bread dressing: rubbed sage. He remixed the ingredients to make sure the sage was evenly distributed. After adding in enough sage to pass the “sniff test,” Mike pressed the bread dressing mixture into a pan previously coated with non-stick spray and then ladled over it some of the cooked turkey broth. He added enough broth to wet the bread but not so much that the bread was floating in it. In times past, in order to keep the bread dressing from tasting too strong, Mike has diluted the broth slightly with water. This is a matter of taste. Mike noted that the name brand rubbed sage that he used in 2009 was stronger than the less expensive brands we have used in the past, therefore requiring less of it in the making of this dish. However, the taste of the finished dish was just as tasty as it would have been if he had used more of a cheaper brand of sage. In this photo, Mike is holding the pan of baked bread dressing. He baked it at 350°F for about 20 minutes, long enough to where the eggs were cooked through and the top of the dressing was slightly crisp.Bread dressing has become an expected part not only of every Thanksgiving dinner we have, but also of every turkey dinner. While the bread dressing was baking, Mike worked on preparing the sweet potato casserole. Because of its sensitivity, we cooked the broccoli last. This photo shows the broccoli crowns that Mike prepared for steaming. The prepared broccoli was put in the fryer/steamer basket and placed over boiling water in our hot pot for steaming. To save time, we steamed the broccoli over the water that had been used for boiling the sweet potatoes. In our family, we prefer two different types of cranberry sauce. Here, Mike is holding both types, the jellied variety that Vicki likes and the whole berry variety that he likes. For us, Thanksgiving dinner just wouldn’t be complete without cranberry sauce. This is a close-up view of the whole berry cranberry sauce. This is a close-up view of sliced jellied cranberry sauce. When the turkey was cooked and sliced, the bread dressing baked and sliced, the sweet potato casserole prepared, the broccoli steamed and the cranberry sauce ready for serving, our meal was ready. Thanksgiving dinner is served!Both plates show a serving of turkey, bread dressing, sweet potato casserole and steamed broccoli. The plate in the foreground also shows slices of jellied cranberry sauce. You can see the edge of the bowl with whole berry cranberry sauce on the right and the pan containing the remainder of the bread dressing in the background. If we say so ourselves, this was a beautiful meal and we did ourselves proud by fixing an elegant-looking, very delicious and well-rounded Thanksgiving dinner. What’s even more exciting is how much money we saved by doing it ourselves! Imagine walking into some restaurant and wanting to eat from their Thanksgiving dinner buffet for $5.32 per person (tax and tip included). Can it happen? Assuming a tip of 20%, that’s an additional $3.39. Calculating various sales taxes and adding in a 20% tip, here’s what you would pay per person for the privilege of eating a $16.95 Thanksgiving Day dinner. We have also calculated the cost for 2 people to eat. For less than 25% of the cost of the high-end restaurant-prepared Thanksgiving dinner for two, we were able not only to eat as much as we wanted of our favorite dishes, but we also had enough turkey left over for at least two more meals! Of course if you don’t feel like preparing and cooking the whole meal yourself, it is possible to buy a few things already prepared. If you have a home support team, some of those items can be prepared at home, taken with you and heated up at the appropriate time. Just bear in mind to keep perishable foods at the correct temperature and re-warm foods to the correct temperature before eating.